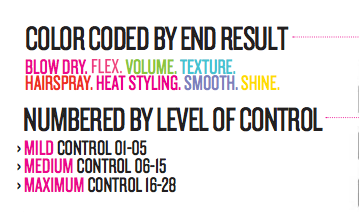 It is now easier than ever to #StyleYourStory with Redken, with the new-look Styling Range colour-coded and numbered to help you find the right product for your needs. 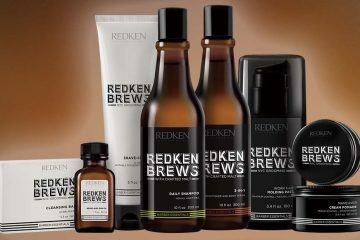 The new-look packaging coincides with the launch of two new product categories, but don’t worry, all of your Redken favourites are still available, simply housed in a sharper design, colour-coded to the finish or end result that the product gives. 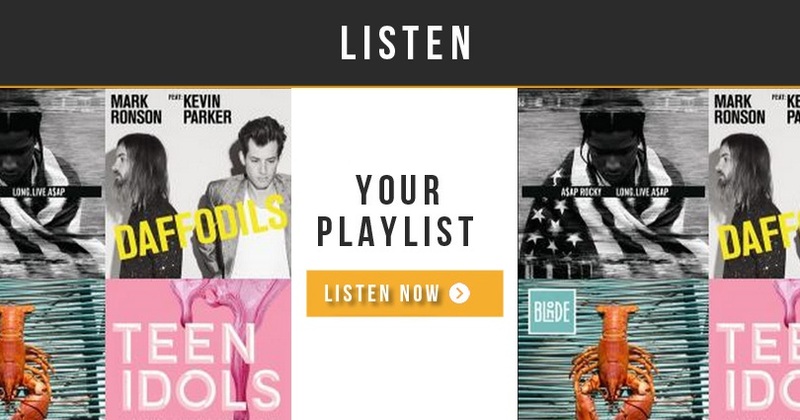 CLICK HERE TO VIEW THE RANGE. 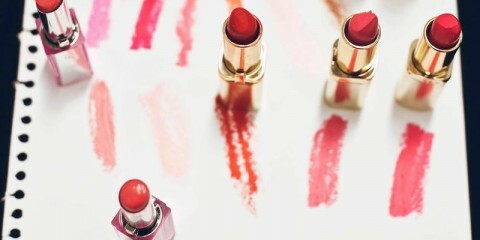 This NEW category is made up of two products that should be the first and last step for any style. PILLOW PROOF EXPRESS PRIMER: Time-Saving Blow Dry Primer with Heat Protection ($30.95). A lightweight spray that cuts blow-dry time, protects from heat and breakage, and amplifies benefits from other Redken Styling products. TWO DAY EXTENDER: Oil Absorbing Dry Shampoo ($30.95). Previously known as powder refresh 01, Redken’s best-selling dry shampoo, this eliminates oil in the hair and instantly refreshes to extend the life of your blow dry, and lends texture and grip to the hair with a matte, residue-free finish. 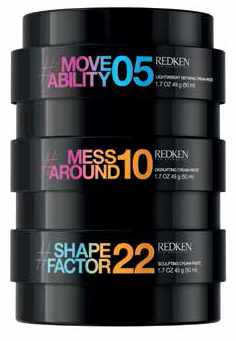 This NEW category includes three cream-pastes that give easy shaping with ultimate flexibility and a touchable feel. SHAPE FACTOR 22: Sculpting Cream-Paste ($27.95). High control for shorter length and upstyles, ultimate sculpting and definition with a matte finish. 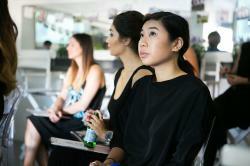 Guido Palau, Redken Creative Consultant, explains the idea behind the FLEX range. “Right now it is chichi and cool to have an ease towards ones hair… it is essential for the hair not to look too contrived. With the new FLEX collection…. I can add as much or as little texture as I want, but the finish remains flexible and moveable”. The perfect accompaniment to Redken’s edgier look is Sky Ferreira, the new muse and face of Redken Styling. The musician and model loves to experiment with her hair, and is known for her carefree attitude and bleach-blonde locks (recently dyed to a choppy, rock-chick black). A favourite in the fashion world as a muse to Hedi Slimane and model for Marc Jacobs, Ferreira is the perfect partner to Redken, the trend-leaders in hair. The pouty songstress will be hitting our shores in July, headlining at the Splendour At The Grass music festival in Byron Bay. Chiara Ferragni, Italian fashion blogger at The Blonde Salad, has also been announced as Redken’s Global Fashion Ambassador. With around 2 million followers, Ferragni inspires fashion followers around the world with her passion for fashion and beauty.